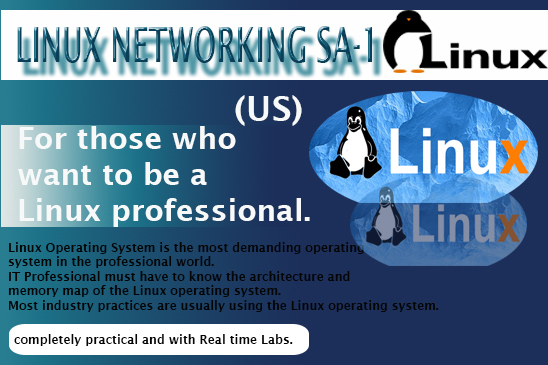 This Red Hat Linux Networking course or Linux Operating System course is comprehensibly designed and developed for fresh starters in IT domain experienced professionals and those who want to be a Red Hat Linux professional. The Course is completely totally practical inclusive of theoretical and hands-on Labs. 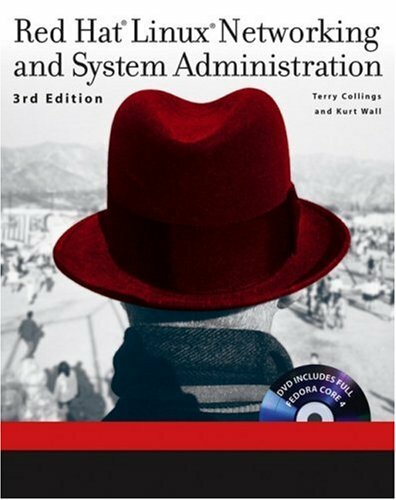 This training thus provides a hands-on approach to basic and other advanced administrative tasks that are unique to RED HAT LINUX. The course content covers from basic of Linux and its configuration gear up to advance level. As Linux Operating System is one of the most demanding operating system in the professional market due to its to internal architecture and processes. Today, Industry practices are usually move on open source architecture, where Red Hat Linux are followed in the same. Due to high demands of Red Hat Linux Operating System, Market need professionals; and most of the different applications, databases are usually configured on Linux Operating System. Thus this is great opportunity to learn this OS through professionals. After the completion of this course, Attendees would be able to apply their knowledge and skills within their corporate Heterogeneous environment. 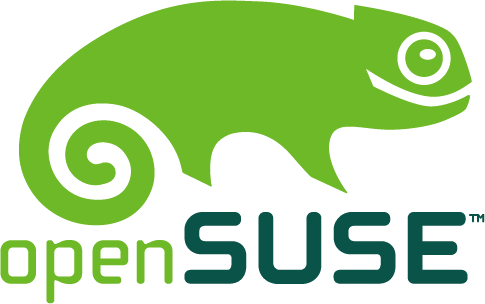 They would also be able to apply the skill sets in different Linux and other Unix flavors like SUSE, Fedora or else. 3D EDUCATORS is one training organization who offered the course that RED HAT Linux Administration with respect to Level 1 and 2 and covering with interactive labs. For Corporate, we can also develop the customize and tailor made program according to the requirements. B.S (Electronics Engineer) � SSUET, Karachi. 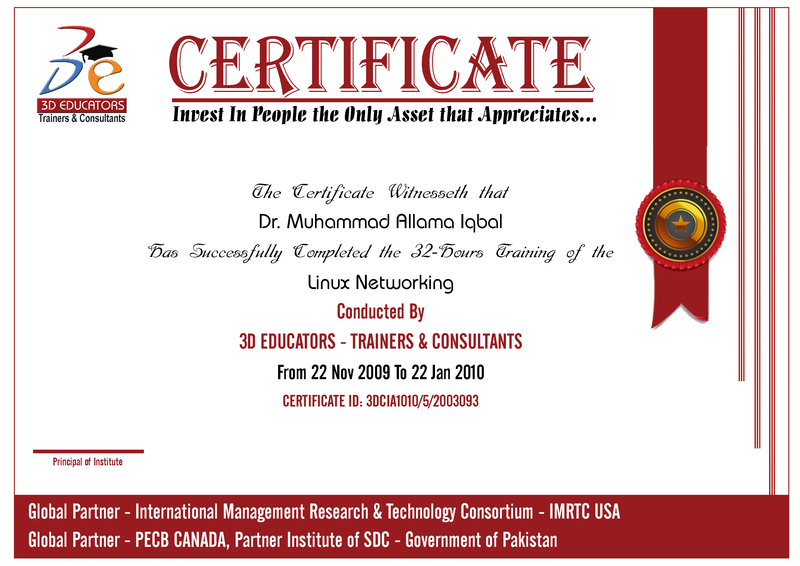 Membership: Lifetime membership of Pakistan Engineering Council (P.E.C.) Professional Engineer with more than 15 years of experience in �Information Technology� with comprehensive business / technical skills in Middleware Applications, Systems Integration, Requirements Analysis, along with Project Management in Software Houses and other organizations. Background includes planning and executing the managed services with Microsoft, IBM, Oracle, and Red Hat technologies & middle-ware deployments. He has performed numerous Microsoft and Linux implementations in heterogeneous environments with cross-integrations. Supervised deployments of Middleware and ERP integrations. He is a Trainer, migration and integration expert in multiple flavors of Linux platform. He is also an IBM Certified System Administrator on �WebSphere Application Server�. This is a good year for Linux professionals with a number of new jobs in emerging technologies like Big Data and Analytic, and Social Mobile Analytic and Cloud computing., as employers look to strengthen their technological force. 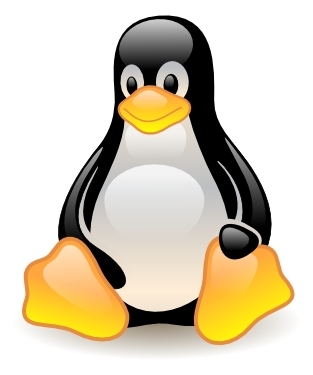 Linux professionals are among st the most sought professionals in the current tech market. A more interesting fact is that among st all the skills, the hiring managers are most actively seeking system administration especially in Linux Platform. While demand continues to grow for Linux talent, there remains a shortage of experienced Linux professionals on the market. Employers are looking to recruit Linux professionals in the next six months both locally & internationally due to the speedy development of Cloud architectures. Furthermore, Linux recruiting has been rising steadily, and this explosive demand for Linux talent is intensifying more and more. 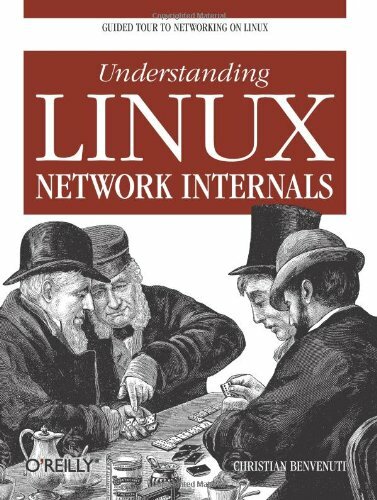 In particular, the in-demand Linux skills will continue to cross both the developer and enterprise management areas, providing diversified opportunities to meet a wide range of Linux skill sets. Hence you won�t get a better opportunity or time for pursuing career as a Red Hat Linux system Administrator, like this one..
As mentioned above the certifications are most important part now in the professional world. Especially in the field of IT, you cannot survive, if you don't have got the International Credentials with you. All big organizations Offer the different Certifications that accredited you in the professional world. Learn and Earn the International Credentials of RED HAT Certification.